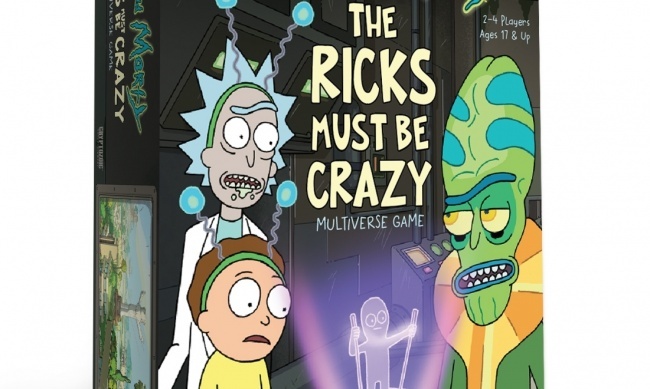 Cryptozoic Entertaiment will be releasing another game based on the hit animated series Rick and Morty in Q2: Rick and Morty: The Ricks Must Be Crazy Multiverse Game, inspired by the episode of the same name. The game is an “engine-building” style game in which players construct “Contraptions” to extract Power from four nested universes called Rickverse, Microverse, Miniverse, and Teenyverse. Players can move between the “‘Verses” to take advantages of the Power available in different places and to construct Contraptions. The smaller ‘Verses allow players to take more actions each turn, but the Contraptions they build there are less reliable, and Power flows “upwards” toward the larger ‘Verses. 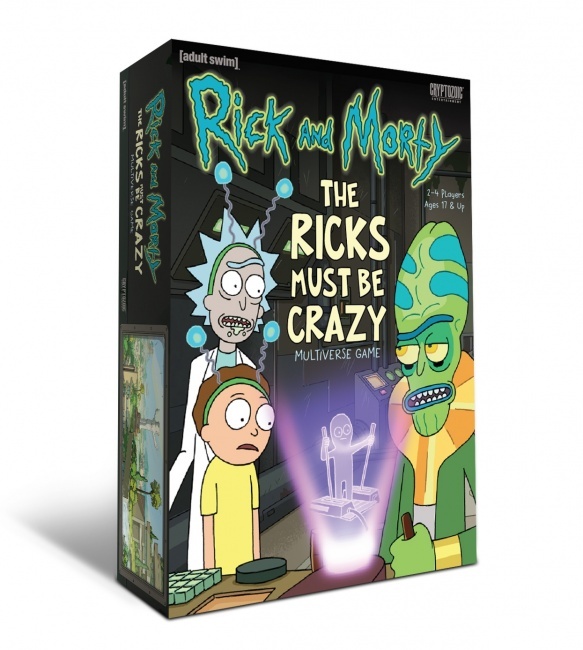 The Ricks Must Be Crazy includes 60 cards, 44 tokens, 4 ‘Verse tiles, 4 oversized character cards, and 4 character stand-ups. The game is intended for 2 to 4 players, ages 17 and up. MSRP is $19.99. The Rick and Morty show has proven to be fertile ground for Cryptozoic, which released two titles based on the show this year and two last year (see "New ‘Rick and Morty’ Games, ‘Crossover Crisis Animation Annihilation’").